My email archives are loaded with useless emails for things like Black Friday sales from over 10 years ago. That's stupid. Even though there's virtually unlimited space in our inboxes, there's no reason to archive most of our emails, especially promotional emails for limited time promotions and other time sensitive events. That's why I think there should be an Expiration Date option in emails. 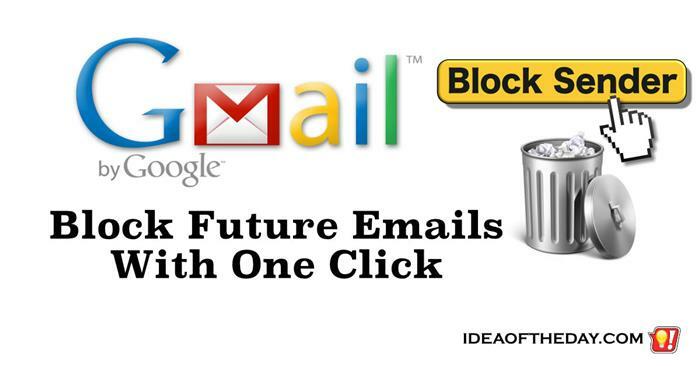 An Email Expiration Date would simply be an optional date you would enter just before sending an email. 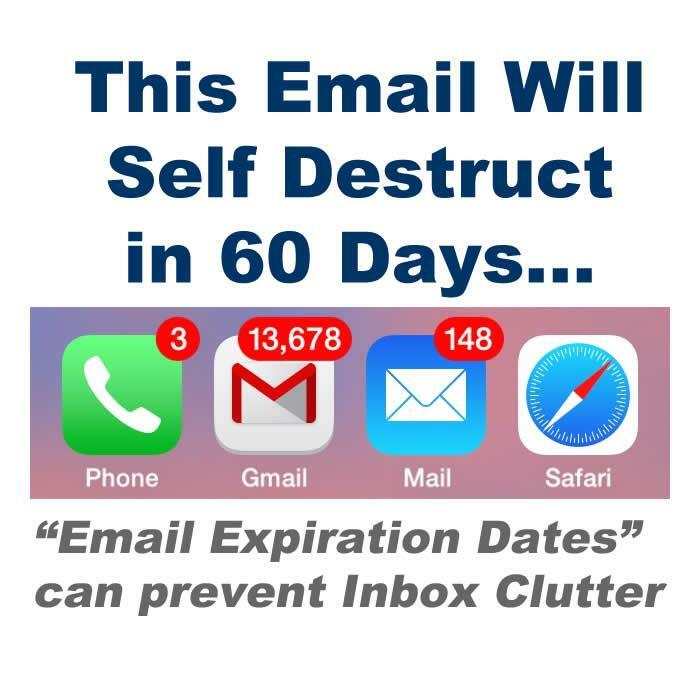 If you leave it out, it would work as it does now, without an expiration date, but by simply adding an expiration date the email would have a definitive lifespan, allowing it to be deleted automatically when the expiration date passed. Beware of Fake Fundraising Emails! Beware... Fake fundraising emails are on the rise! Over the last few months, I've noticed a rise in the number of fake fundraising emails. Most of them were election related, but the fact remains, there are now spammers making money off of unsuspecting people who THINK they're supporting a worthy cause. It's harder for people to realize they've been taken advantage of, because unlike buying something from a spammer, when you make a donation you don't expect to receive a product in the mail. This is particularly disturbing because it means that people are not only sending money to criminals, but they are also depriving legitimate charities of their donations. Oops... Did I just send THAT? Every now and then we write an email without considering what the recipient will think when they read it. Sometimes it's something simple, like our choice of colorful language or jargon, but other times the entire email is just plain crazy. This can happen as a result of writing emails after having a bad day, or perhaps a too much to drink. Whatever the reason, it would be great if there was an alert when we've gone a bit too far. We've all seen email spell checks and grammar checks, but sometimes what we really need is a SANITY CHECK! Just a little reality check that scans the words in our email and gives us a chance to re-think it before we hit send. Don't you hate keeping track of dozens of passwords? One of my favorite things about Gmail is the search box. That one feature was revolutionary when it came out because it gives you the freedom to archive virtually unlimited emails and find them in a fraction of a second. With that in mind, I decided to use Gmail to store things like passwords, account numbers, lock combinations, serial numbers and a ton of private information. The key is making sure the information remains private by securing your account by using Gmail's 2-step verification, which secures your account by sending you a code via text message any time you use a different device to log in, and by hiding the information itself by making it difficult for anyone but you to search for. 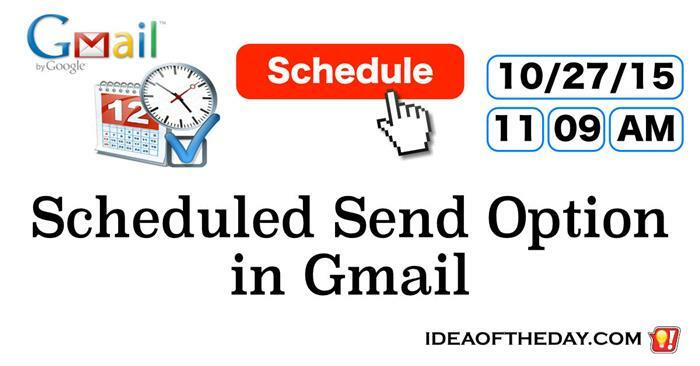 One of the best features of Microsoft Outlook is the ability to schedule when to send a message... Why can't we do that with Gmail? The most frustrating thing about clearing your Inbox is that as soon as you reply to an email, your recipient send you another reply. 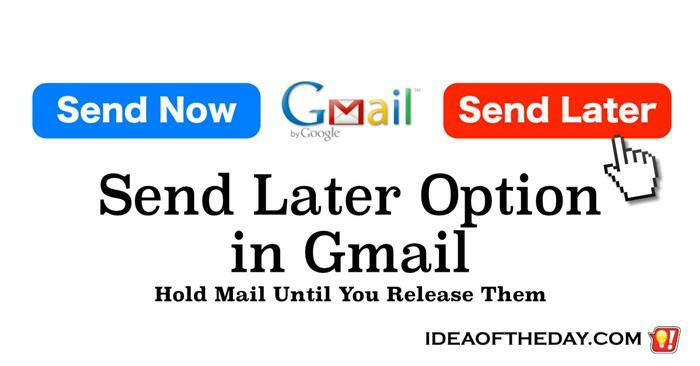 You can spend an hour replying to 50 emails, only to have 50 new ones within a few minutes. This is particularly frustrating if you decide to do clear your inbox at night or on the weekend. Sending hundreds of emails to a private list is a common mistake. 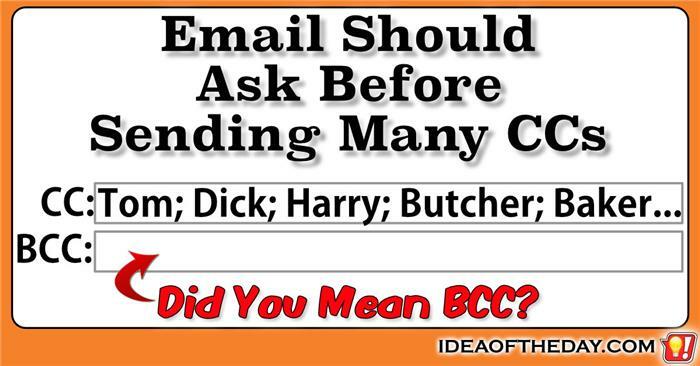 The CC: box is a fraction of an inch from the BCC: box when you send an email, so it's easy to accidentally paste a long list of emails in the wrong box. 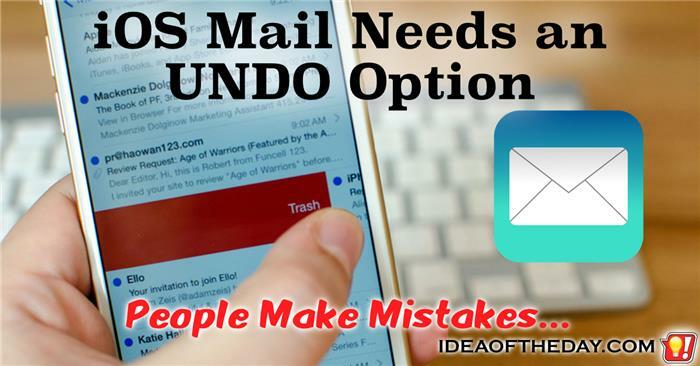 That little mistake can cause a ton of problems for the sender, and everyone in the list. Your Internet Service Provider Shouldn't Own Your Identity. 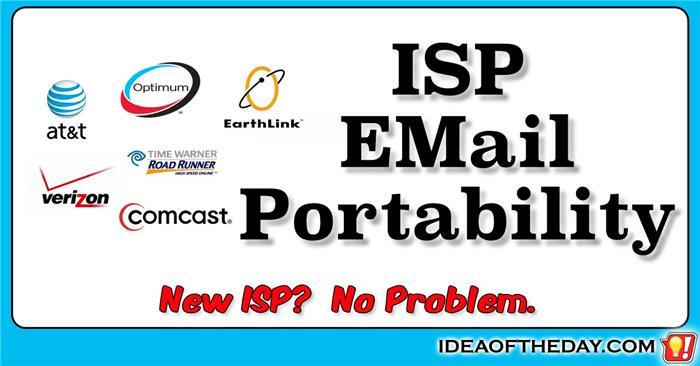 Every major ISP offers a free email account to its subscribers. For example, if you get your Internet from Comcast, you're given an address @comcast.net. Sounds simple enough... or is it? As time goes by, that email address becomes an important part of your identity. 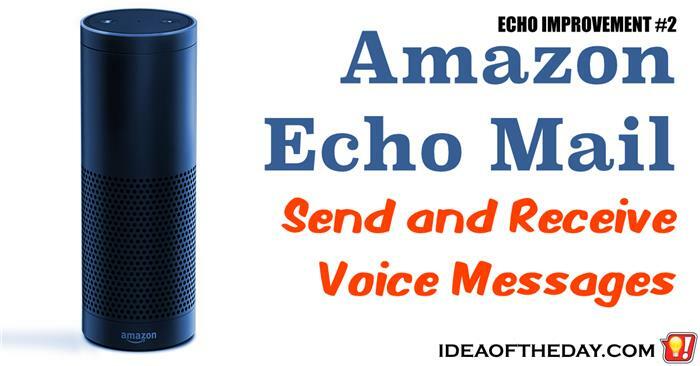 It's the address you give to family and friends who want to write you or send you photos. It's also the address you use whenever you register for things like shopping sites, bank accounts, credit cards, online bill pay, and countless other services. 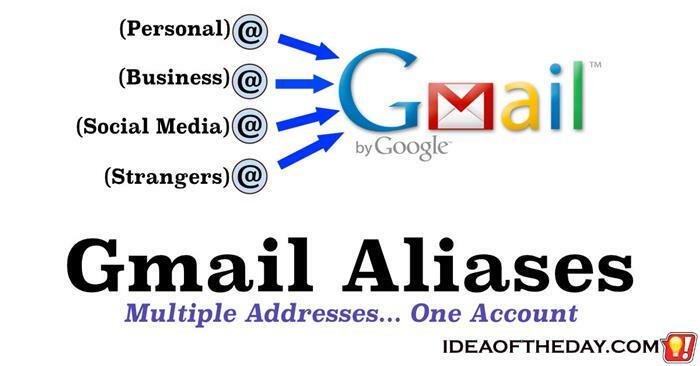 In a nutshell, that email account IS your online identity. If you lose it, you've got a problem. The first step towards preventing fraud. If you open your inbox, and see an email from a stranger with the heading "Check this out", would you trust it? What if you saw the same email email from somebody you knew. Would you trust it? The problem is, many people would say yes, and that's exactly why scammers spend a lot of time trying to figure out the relationships between email addresses. Once they find a connection, they've got all they need to exploit it, and they don't need to hack your account to do it. 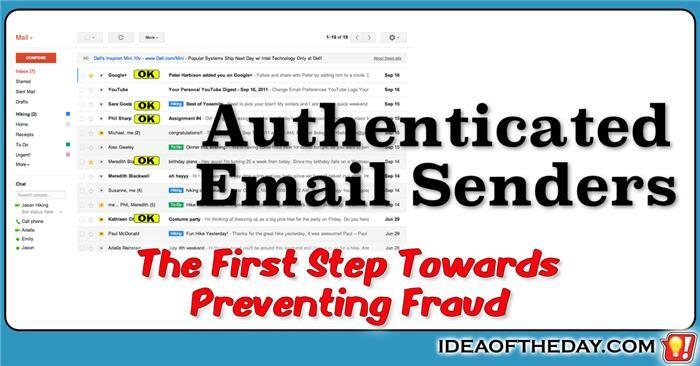 As it stands today, whenever you send an email, there isn't any system in place to authenticate who the sender is. 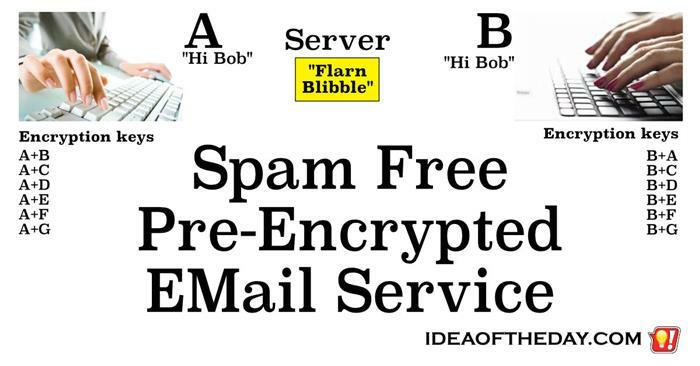 Gmail Encryption. 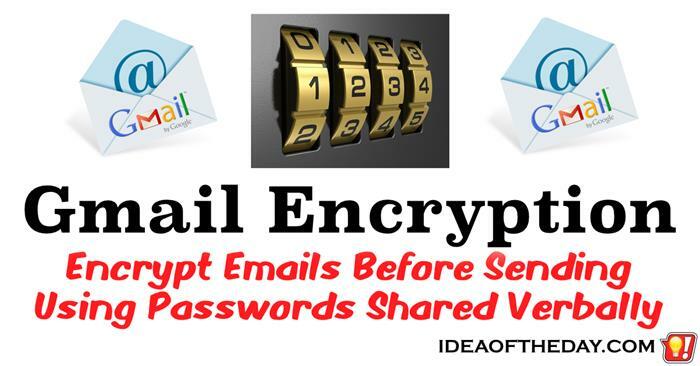 Encrypt Email Before Sending... Passwords Shared Verbally. If you wrote an email that you absolutely, positively want to be read by one person... how could you do it? If you put it in a regular email, there's no guarantee it will remain private. First of all, Google's server can read it. Although it's just a search engine, it does mean that their server will potentially use some of that information to determine what kinds of ads you'll see on millions of websites, which could indirectly reveal the nature of your messages. For example, a friend once sent me an email asking me my opinion about a cordless electric lawnmower, and I started to see a ton of ads on dozens of websites even before I read the email. 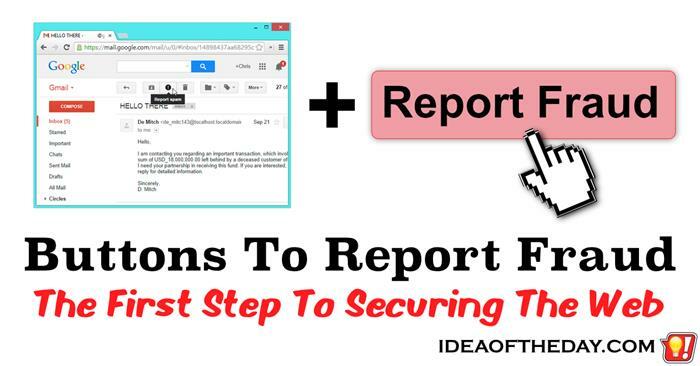 Just about every email system has a button to report Spam... but you never see buttons to report fraud, which is much worse. I realize everyone hates Spam, but online fraud is a much bigger problem. Spam is basically a nuisance, but the damages from online fraud can be catastrophic. Every day, scammers send millions of fraudulent emails in the hopes of tricking people into giving them money or personal information, so why don't they make it easier for people to report fraud? Reporting Spam couldn't be easier, because there's generally a simple button right above the message, but the option to report fraud requires people to look around for a link in a menu. Most people don't even know it's there. There was a time when I was excited whenever I heard my computer say.. You've got mail! Back in the early 90s, just about every email was from somebody I knew, so I simply couldn't wait to open my inbox. Most of the time, my inbox was completely empty, so hearing that familiar sound let me know somebody took the time to write me, and I looked forward to each and every one. Today, I get hundreds of emails each day, but unlike the 90s, very few are from people I actually know. I still get emails from people I know, but the longer I take to open my mailbox, the more they get buried in the clutter. On a particularly busy day, there's a very strong chance that an important email will be missed entirely. 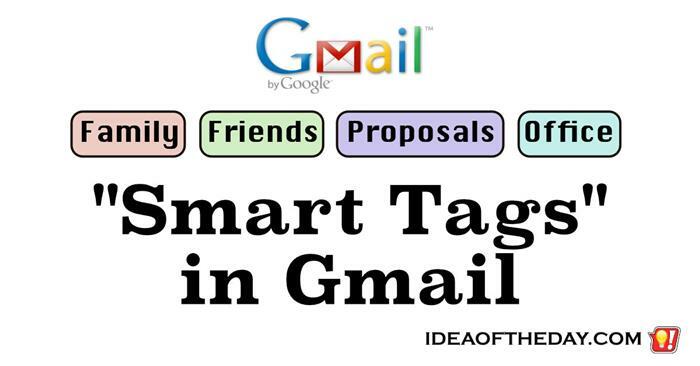 Gmail tags are awesome. They just need better tools to automatically tag emails as they come in. 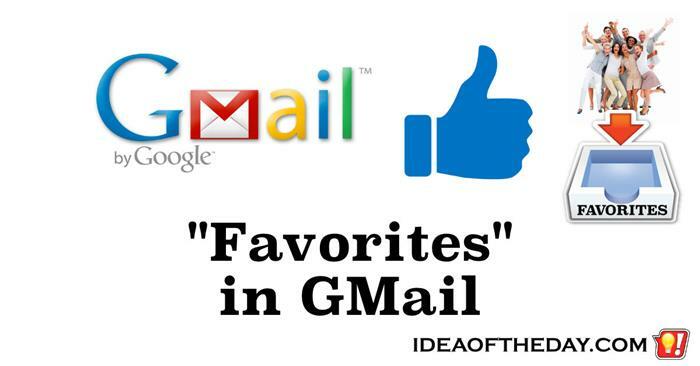 When Google released Gmail, it didn't have folders; it had tags. 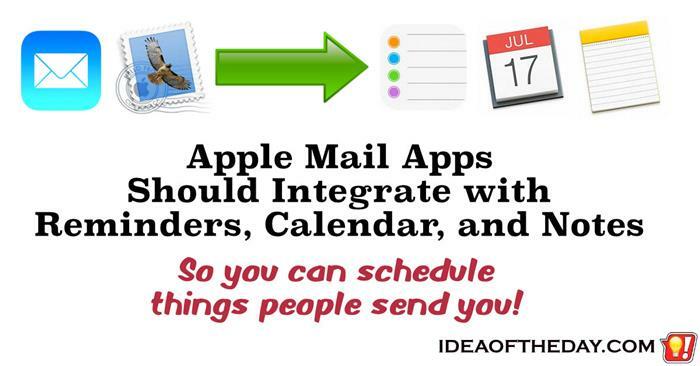 For some people this was considered crazy, because they were so accustomed to the idea of putting things into folders that they couldn't even consider an email system without them. Eventually people learned that unlike placing an email into one folder, they could tag any given email with as many tag names as they want, making it easy to find an email that fit more than one category. Clients... because it's a client. Proposals... because it's a proposal. When unsubscribe doesn't work, why not just block the sender? Everyone hates spam. But every day, we seem to get more spam in our InBoxes than anything else. Time after time, we hit the "Spam" button, or look for "Unsubscribe" links, but somehow they keep coming. As I wrote about recently, sometimes even after using an Unsubscribe button, we get a message telling us it will take at least 30 days to stop receiving emails. Wouldn't it be easier if we just clicked a button that said "Block Sender"? Then viola! From that second on, any emails from that sender go right into the Trash. Unsubscribe Links Should Always Be Instant. 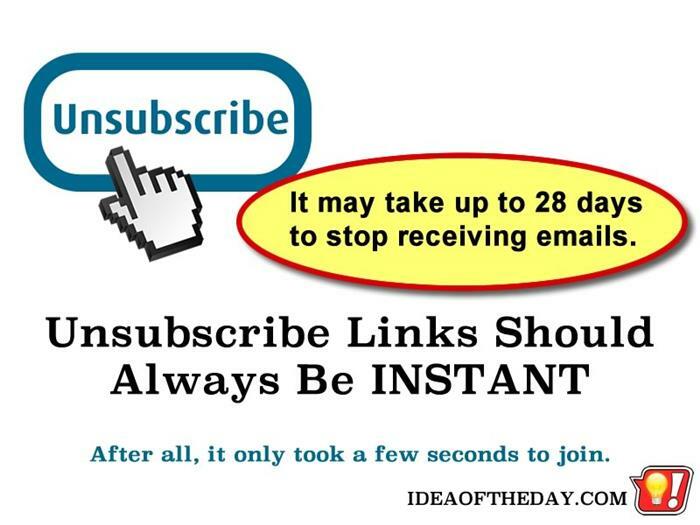 You decide you no longer want to get daily emails from Rubber Chicken of the Day, so you click the Unsubscribe button, and it tells you it will take 28 days to stop getting emails. 28 days. Really? Here's a simple idea. It doesn't matter if you use a third party marketing company to send your emails. You've got a computer. They've got a computer. It's not hard to provide a simple way for them to get up-to-date lists that are current as of the exact moment they send your emails. I've been in the computer industry for over 34 years, so it boggles my mind when I click Unsubscribe, then see a message telling me I'll still get emails for up to 28 days or more, Are they that lazy? Or are they simply that reluctant to get you to stop getting their emails. 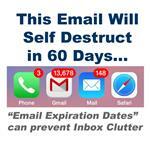 Idea For Email Providers to Reduce Clutter - Create Expiration Dates for Emails. Let's face it, some of us get too many emails. 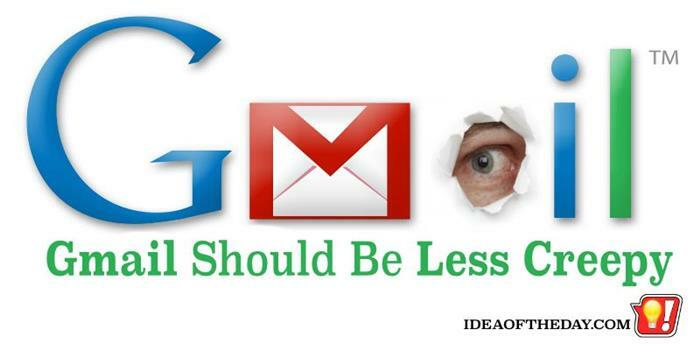 If you are the typical Gmail user, you've been conditioned to archive your email, instead of deleting it. After all, they give you virtually unlimited space and the awesome power of Google's Search to find any email you may be looking for. 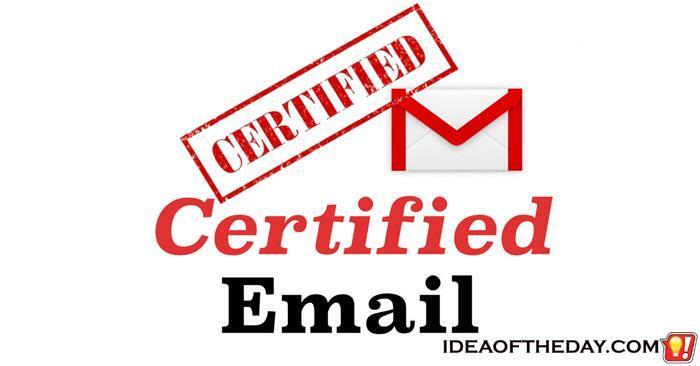 The trouble is, after nearly a decade of Gmail, our mailboxes are full of so much clutter that every search is like finding a needle in a haystack. 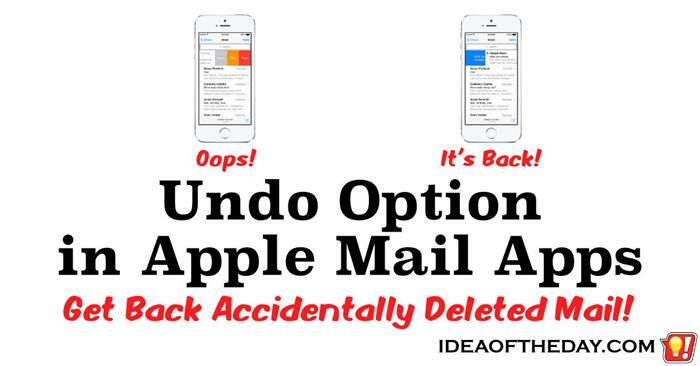 Think about it, you open an email in October, and by December... it's gone, without lifting a finger. How cool would that be?